Where are they required? How do they work? What are my options? These are some of the questions posed by facility operators and designers. 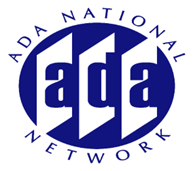 This session will review the requirements for assistive listening systems (ALS) in the 2010 ADA Accessibility Standards and the Architectural Barriers Act Accessibility Standards. A detailed review of the various types of assistive listening systems and their suitability for different types of facilities will also be provided.